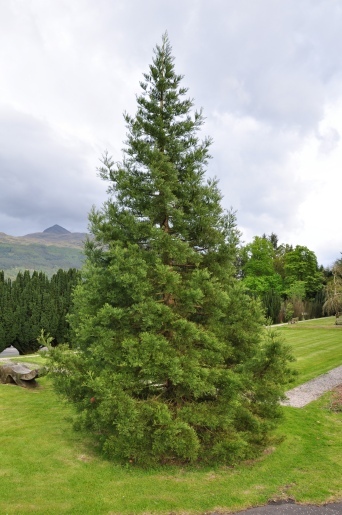 Tam says "I was surprised and delighted to find these three lovely trees right outside the entrance to the Tarbet Hotel on Loch Lomond. 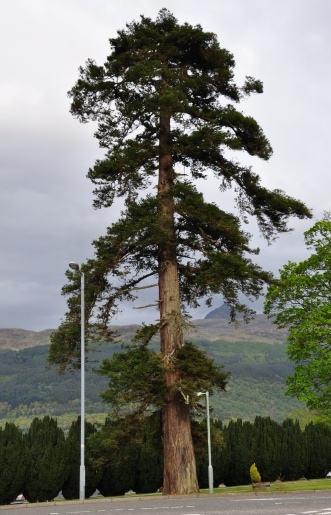 A substantial Coast Redwood nestles right on the junction of the A82 & A83 two of the busiest roads leading into the Highlands of Scotland. Another fine Coast Redwood is only metres away and then I spotted the Little Giant Sequoia beside them." Thanks for the photographs (above) Tam. Those unexpected discoveries are so rewarding. Coasts and young Giants can be difficult to notice, so these finds must make you an offical seasoned redwood spotter! 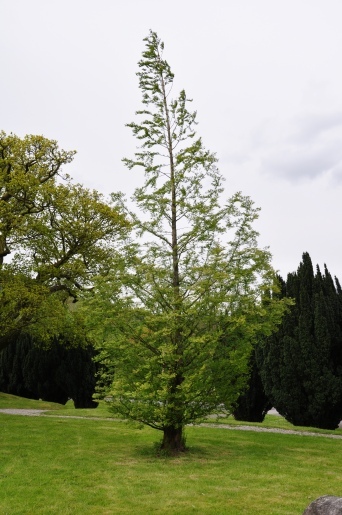 Thanks to Tam's discovery, I made my own trip to these trees during a short stay in Scotland and found there is also a Dawn Redwood at the Tarbet Hotel. Easily overlooked when searching for Giants or Coasts, but nice to see there is a full Redwood set at this location. I don't know who planted them but they certainly know their Redwoods! 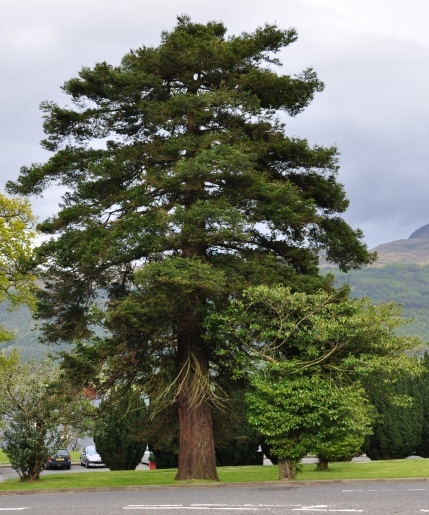 Tam says, "Hard to believe this but yesterday on the way past the Tarbet Hotel I spied another Coast Redwood. 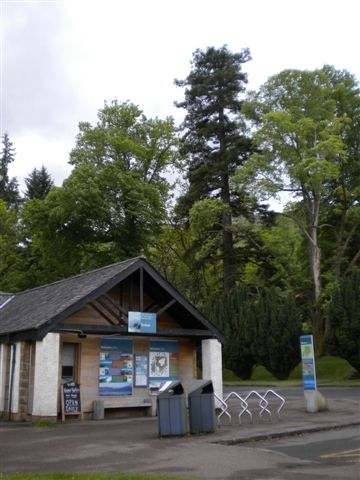 It's about 100ft from where the others are and right at the south edge of the car park next to the Tarbet Tearoom. I cannot believe I have driven past it so many times and not noticed it. It is 4m in girth and approximately 20m in height and is at NN 31997 04398." Thanks for the photograph Tam, I'm surprised I missed the other Coast Redwood, I must be losing my touch!